Argyranthemum Madeira has small, green, lacy leaves. 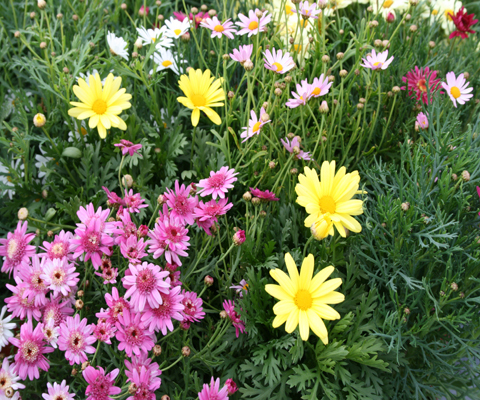 It produces a daisy type flower in a variety of colors and is very aromatic. Great for containers and landscapes. Plant in moist and well draining soil in an area that gets full sun. Fertilize and water regularly as they are heavy feeders. Also needs to be trimmed now and then to encourage flowers to grow.